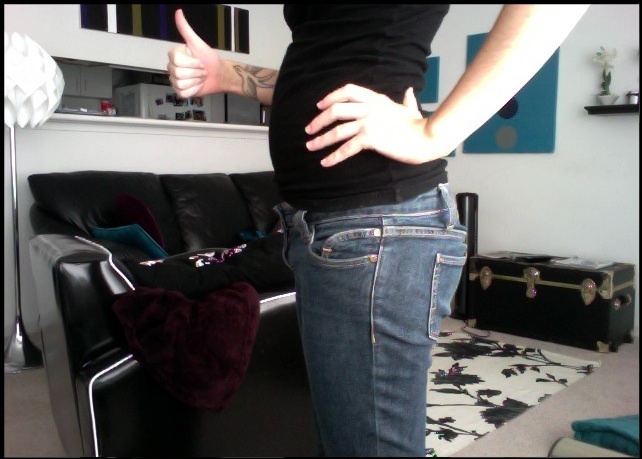 Ok well technically just over 15 weeks. I'm so excited that I can finally take "belly pics" and I'll try my best not to include my thumbs up in all of them. I'm going to be taking them weekly(at least) but I'll most likely only post the pictures that actually show a difference in circumference. I love you so much already and so far my favorite past time with you is listening to your heartbeat every night. I'm liz I just started following your blog (I hope you don't mind). I found your blog from another friend's blog I follow. I know we don't know one another but I'm cheering you on! Congratulations on the pregnancy! I know my blog is locked, but if you want to know more about me I'd be happy to send you an invite. Hi Liz! Thanks for following, it's nice to know I have readers! I'd love to follow your blog as well if the invite still stands! ok my email should be showing in my profile now!